- Lovely colors and soothing tones. - This Tree of life pastel is one of its kind and has an extremely detailed pattern. - The design has been originated from late 19th century in Persia and the material used is 100% New Zealand wool. 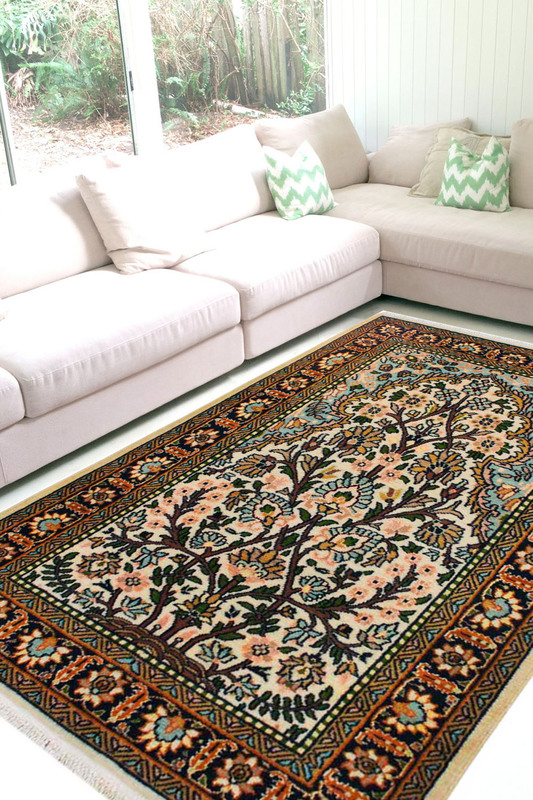 - The center of the rug has a beautiful array of flowers with detailed leafing. - Primary colors are cream, green and tinges of blue. - The border itself is a unique one with an intricate motif designed all over. - Our recommendation is to use this rug as a wall hanging and extra care and maintenance are required due to its soft texture.